Open toed shoes, thongs, flip flops & bare feet are the customary Northern Beaches footwear attire. So with the warmer months again dawning upon us exposed toes for some people are their own worst nightmare. Podiatrists at our Balgowlah and Curl Curl clinics are often faced with patients “wishing they had nice nails” or claiming to “hide my nails under polish”. Our podiatrists cringe when they hear that their patients go and have shellac applied or worse still are having acrylic nails put on their toenails. Not only is this really damaging to the nail health, it can also create the perfect breeding environment for fungus. So whats the alternative? One of the treatments we specialise in at our Northern Beaches Podiatry Clinics is a nail restoration system known as KERYflex. Essentially KERYflex is a cosmetic nail treatment that can be used on individuals who feel they want to improve their ‘unsightly’ nails. KERYflex can be used for short term nail damage like bruised, chipped, broken or fungal nails. or for long term nail complications due to trauma (slow growing or distorted nails) or congenital nail abnormalities. KERYflex is offered as podiatry only treatment, meaning you can be confident that your nails are being restored by a fully trained professional, using sterile equipment and techniques. KERYflex is a resin material that wont further damage your underlying nails (unlike acrylic or gel). Our podiatrists have been using this nails restoration system in their Northern Beaches clinics for over a year now and are always excited by how natural they are able to get the nails to look. “We are able to reduce the thickness of natural nails and sculpt an entirely artificial nail over the top of the damaged/unsightly nail”. Generally KERYflex will last up to 8-10 weeks on nails, it is unaffected by acetone, nail polishes or detergents.The composite resin creates a flexible, but durable, non-porous nail that allows the remaining natural nail to grow. If you are embarrassed by the look of you nails and want to have summer ready toes, all of our Curl Curl and Balgowlah podiatrists are trained in the art of KERYflex application. At Sydney Podiatry Co fungal nail infections are one of our patients most common complaints. And with our two Podiatry clinics being located on the northern beaches we can understand that showing your toes during the summer months can often be inevitable! Unfortunately, treatment for fungal toenails can be can be a lengthy process. Fungal toenail infections that have been present for a long time are generally more resistant to treatment, and regardless of the type of treatment; the nail infection will always have to grow out. 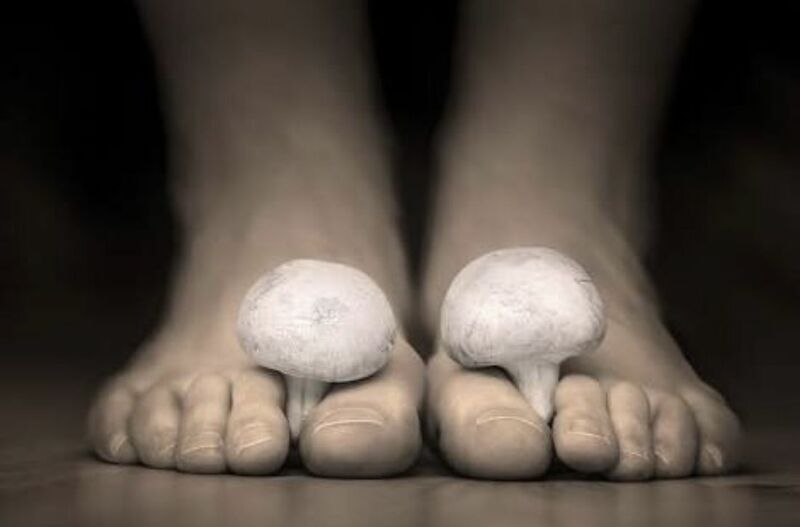 There are a myriad of treatments out there to fight that fungi, but before you try any paint on potions, medications, laser treatments or surgical options, its best to make sure that you truly have toenail fungus. Often in our clinics we will have patients presenting with, what looks like toenail fungus but is actually a nail injury. Clinical signs are usually enough to diagnose nail fungus, however if oral anti-fungals are to be taken or you clinicians are unsure, you may need nail scrapings (no pain involved)! to be sent off to a laboratory to be microscopically examined and the type of fungus confirmed. If it is confirmed you do have a fungal infection of the nail treatment can begin. At Sydney Podiatry Co we believe that in order to achieve the most successful treatment, we first must determine what type of treatment will best suit you and your lifestyle. There are pros and cons of every treatment option available and our podiatrists at Sydney Podiatry Co will discuss these with you in consideration of your needs. When topical solution is used, regular podiatry treatment is needed so that nails can be thinned out and the solution is able to penetrate the site of the fungal infection. Podiatry treatment for fungal nail will also include footwear advice to avoid ongoing trauma to the nails. It is important to remember, regardless of the type of treatment you choose the key is to BE PATIENT, as it can take many months for fungal nails to fully resolve as the new healthy nail has to grow out. If you suspect you might have a fungal nail infection or your not responding to over the counter treatments do not hesitate to give Sydney Podiatry Co a call or email to chat through your concerns with one of our podiatrists. "People with diabetes can develop various foot problems. 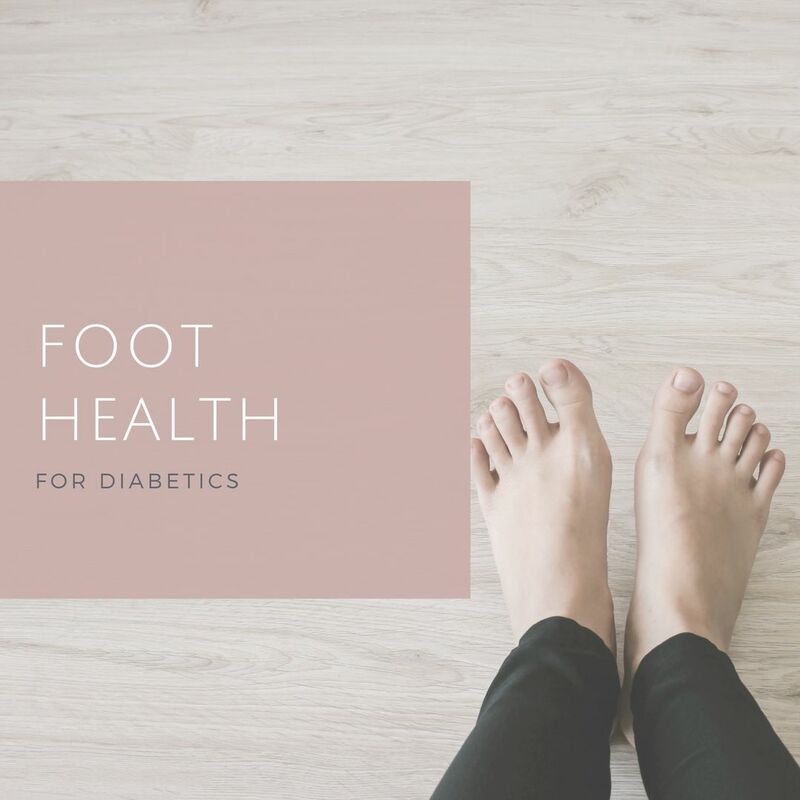 Ordinary problems can get worse and lead to serious complications"
Typically people diagnosed with diabetes are prone to lower limb and foot complications. These complications are predominantly due to reduced blood flow, changes or reduction in sensation, or even a change in foot shape. Reduced blood flow or ishaemia is usually as a result of narrowing blood vessels that supply your feet and legs. Altered circulation affects the skin, the ability to heal, to fight infection and can lead to pain and swelling. Podiatrists therefore, are an essential part of your diabetic managment team. The podiatry team at Sydney Podiatry Co, provide comprehensive foot health check up and are dedicated to diagnosis, treatement, management and prevention. We will liaise with your GP, and aim to maintain your productive, independant and healthy lifestyle. WHAT IS SWIFT THERAPY FOR WARTS? Swift is a new technology, developed in the UK, which has been licensed for the general treatment of skin lesions (warts/verruca). Swift treatment uses microwave energy delivered through a special probe that is applied to the skin. This probe generates heat within the verruca. Recent research has found that using this approach, called local hyperthermia, is much more effective at causing cell death within the wart than freezing or acid. Yes. Microwaves are a form of non-ionising radiation, this means they cannot cause damage to the DNA of living things. Aside from your kitchen appliances, microwaves are used in a number of every day devices including your mobile phone, bluetooth and even WIFI. To really understand how Swift works, you must first know that when your body's cells are infected with the human papaloma virus (HPV) it has the ability to 'hide' in the body so that your immune system has no idea the virus is present. 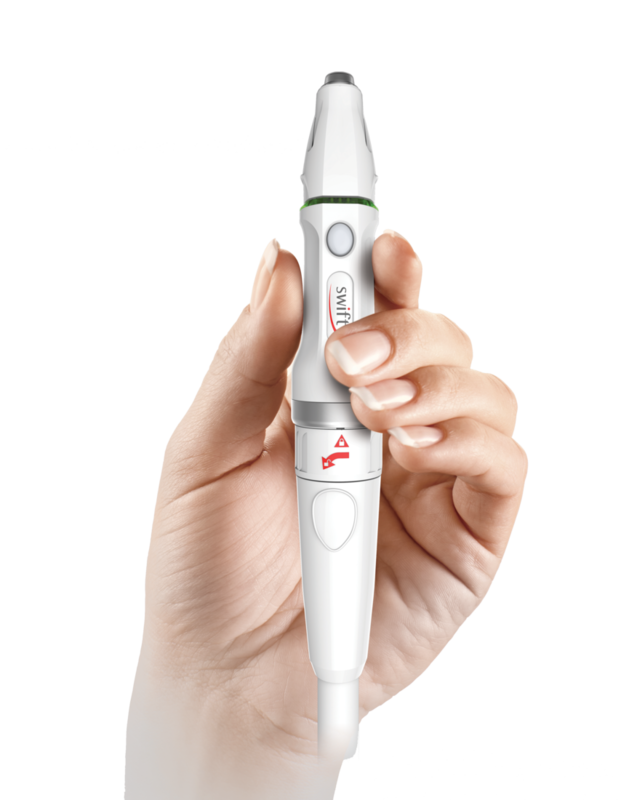 Swift microwave therapy works by delivering energy to the site of the wart/verruca using a hand-held probe. Microwaves are delivered to a precise and predetermined depth. The microwaves heat the virally infected cells to 42-45 degrees, sending them into a state of stress. This stressed cell is then made visible to your immune system so it can then rid the body of the virus. HOW DOES SWIFT COMPARE TO OTHER WART TREATMENTS? Previous treatments used to treat warts like cryotherapy, salicylic acid, electrotherapy and excision are used to irritate the tissue and hopefully 'trick' our immune system into recognising certain cells are infected with the HPV virus. These treatments may work for some, however success rates are around 40-50% and often you may be left with a painful lesion that needs to be kept dry and will need redressing. Treatments can vary from daily to weekly and can be ongoing for months. Swift does not disrupt healthy tissue, leaving it intact. That's great news, as it means there is no need for any dressings and there is no pain following the treatment. Meaning you walk out of the clinic just like you walked in! Treatment with Swift is extremely quick and requires no dressings. The rapid heating of the verruca/wart to 42 degrees can cause some discomfort, however this lasts for such a short time. Some people liken the sensation of swift to putting your foot in a hot bath and quickly removing as it feels to hot. Most people have no awareness of the treatment after about 2-3 minutes of treatment finishing. HOW OFTEN WILL I NEED TO COME FOR SWIFT TREATMENT? At Sydney Podiatry Co we generally place treatments 4 weeks apart. Most people will need 3 treatments. Some people may need additional treatments, particularly if their verruca is longstanding. IS THERE ANY PREPARATION REQUIRED PRIOR TO TREATMENT? Generally no, however if your verruca/wart has substantial callous overlying one of our podiatrists at Sydney Podiatry Co may reduce this a few days prior to receiving your first Swift treatment. AM I ELIGIBLE FOR SWIFT WART TREATMENT? With a few exceptions, most people with skin verruca on their feet would be able to have this treatment. Our podiatrist’s will carry out an assessment prior to treatment and be able to advise you on this. I AM INTERESTED- WHAT DO I DO NEXT? Complete our online enquiry form on the ‘contact us’ tab of our website.